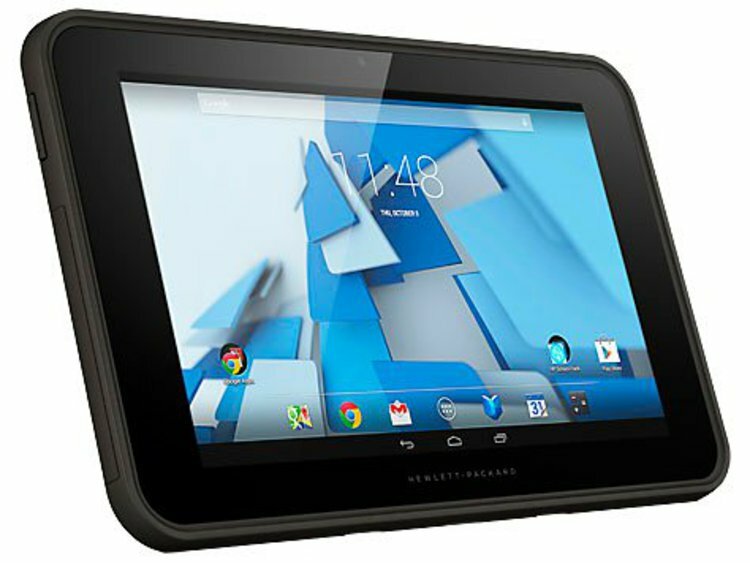 HP, the manufacturers of Tablets and computers, comes with a group of three android tablets, namely- Pro Slate 12, Pro Slate 8 and Pro Slate 10 EE. The company packs Pro slate 12 and Pro slate 8 with HP’s Duet Pen powered by Qualcomm technology, a crafty stylus that can be used to scribble on the tablet’s surface there by communicate with the tablets. The highlight of these tablets targeted for business customers is its 4:3 high resolutions. Pro slate 12 features a 12.3 inch display with IPS LCD capacitive touch screen and a resolution of 1200 x 1600 pixels. The screen supports multi touch of about 10 fingers. The tablet is protected by Corning Concore Glass. Pro slate 12 only support Nano Sim and runs on Android KitKat v4.4.4 operating system. It is powered by Qualcomm Snapdragon 800 chipset and Quad-core 2.3 GHz CPU with 2 GB RAM, storage expandable up to 32 GB via microSD Card slot. Its primary camera is 8 MP with resolution of 264 x 2448 pixels and front camera is 2 MP with 1080p. The camera features include touch focus, face detection, auto focus, Geo-tagging, HDR mode etc. It supports GSM/HSPA technology. The connectivity is offered by WLAN- Wi-Fi 802.11 a/b/g/n/ac, Wi-Fi Direct, hotspot, dual-band, Bluetooth- v4.0, LE, A2DP. The dimensions of the tablet weighing 850 gms is 300.3 x 222 x 8 mm. The battery used is 21 Wh Non-removable Li-Po battery .The battery life is claimed to be 10 hours. It is available in silver color.The next in the triad is Pro slate 8 with 7.86 inch display of 1536 x 2048 pixels resolution. All the specifications of Pro slate 8 including operating system, processor, CPU, sim support, camera, battery and connectivity options are similar to Pro slate 12. Its dimensions are 207 x 137 x 8 mm and weight is 350 gms. The available shade is Gray. Pro slate 10 EE is a classic version with no sim support or cellular connectivity. It comes with an Optional mobile dock with standard QWERTY keyboard and track pad. It sports a 10.1 inch screen with IPS LCD capacitive touch screen display of 800 x 1280 pixels resolution. Pro slate 10 EE is packed with Android KitKat v4.4.4 operating system. It runs on Intel Atom Z3735G processor and Quad-core 1.33 GHz. The storage options are 1/2 GB RAM expandable up to 16/32 GB with use of microSD card. The cameras include 5 MP or 2 MP autofocus rear camera and 2 MP or 1.3 MP front camera. The connectivity options are Bluetooth- v4.0, A2DP, LE, micro USB v2.0 and WLAN- Wi-Fi 802.11 a/b/g/n, dual-band. The device is GPS enabled. It weighs 855 gms with dimensions of 280 x 182 x 14.4 mm. The battery is 28.5 Wh -removable Li-Po battery. It will be available in black shade. These tablets can be bought directly from HP. 32 GB model of Pro slate 12 costs $569, Pro slate 8 costs $449 for 16 GB,$469 for 32 GB and Pro slate 10 EE costs $279.